National Service Scheme (NSS) is the CSR window for the Institution. All the extension activities, which benefits the community at large are carried out under the banner of NSS. 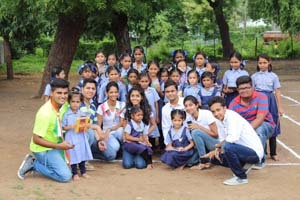 For more than a decade, college has organized various activities including establishing the Bookworms Club, Organizing Tree Plantation and Blood Donation Camps, Candle March, Medical Camp, Poster-making Competition, Donation of Blankets, toys and clothes to Old-age homes and Orphanages, Village stay under Gram Yatra program to help facilitate the communication of various govt. schemes and also deliver talks on health & hygiene for the villagers, Liter of Light project to illuminate huts, support govt. for PM's Jan Dhan Yojana and Toilets in every home, Young Voters' Club for awareness of voting rights, Swachh Bharat Abhiyan, Workshops on AIDS & Cancer awareness, Thalessamia Camp for final year students, Medical Checkups for first year students, Donation for Natural Disaster victims, Narcotics workshop, and many more. 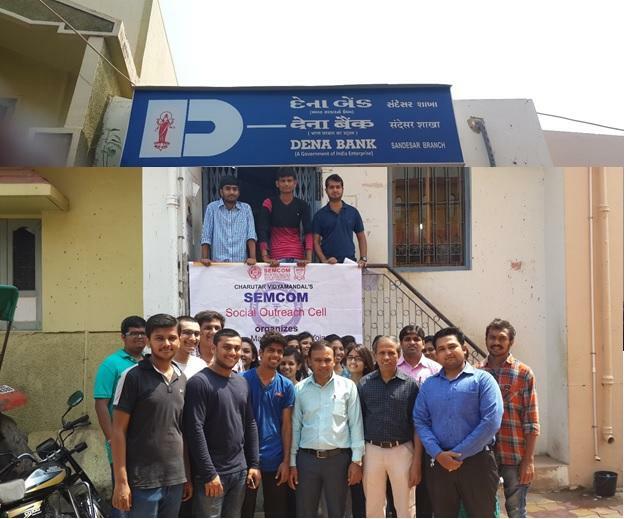 SEMCOM has been appreciated by the society and gathers support for its sensitization towards the societal responsibility. The Book Worms’ Club was started at SEMCOM on 2nd August 2009 in the presence of eminent personalities. The objective of the club is to bring all book lovers together and have review of various books. The Club members meet every first Sunday of the month for book review, presentation and discussion. Every year SEMCOM organizes Blood Donation Camp in association with Indian Red Cross Society, Anand to commemorate Kargil Day or Vijay Diwas. The blood donation camp was organized with cooperation of Red Cross Society (Anand) and Lions Club (Anand) on 1st August 2017. The students and teachers of the college actively participated in the Blood donation camp and a total of 107 units of blood was collected and donated. 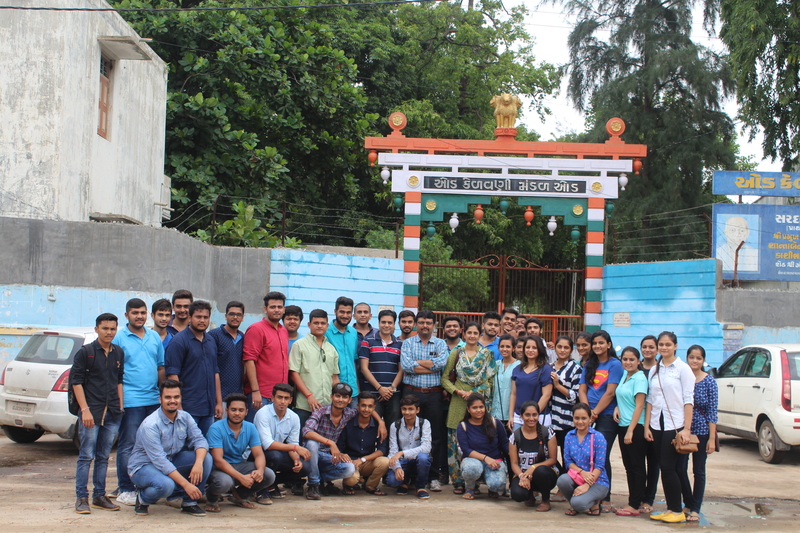 The event was well coordinated under the guidance of the principal of the college Dr. Waheeda Thomas by Vice President of the Students Council Dr. Preethi Luhana, event coordinators Prof. Bhupendra Patel and Dr. Ajayraj Vyas. To save the nature and gift something to mother earth in return SEMCOM observed tree plantation day. Students took a step towards society to save the Mother Earth. The students’ council organizes tree plantation during monsoon since 2003. Students from all streams of the college are involved, so that they they can be sensitise towards environmental issues. Tree plantation is organised in nearby villages in association with local government authorities and Panchayats. Social outreach cell has successfully organized tree plantation in association with rotary club Anand on 3rd August 2017 at Jol village. The objective of tree plantation program is to create awareness about environment, conservation of our natural resources and to mitigate prevailing challenge of global warming. Planted more than 250 trees at Jol primary School, Radhupura primary school and crematorium of Jol village as part of tree plantation day. In tree plantation more 60 students hadenthusiastically participated. The event was coordinated by Dr Reena Dave, Dr. Bharat Tarapara and Ms Jenita Patel under guidance of Dr Preethi Luhana, Vice President of Students’ Council and Principal Dr. Waheeda Thomas. Every year SEMCOM organizes Gram Yatra in collaboration with Anand Collectorate and District Development Office. It is a three day homestay program in different villages of Anand district. The objective of Gram Yatra is to spread awareness about health and hygiene, IT literacy and the importance of voting.